BrandLoyalty | News & articles | What's happening in retail and loyalty? Coop in Switzerland celebrates the Christmas period once again with a free Plush Noëlini promotion. This programme is running in more than 950 supermarkets, hypermarkets and convenient stores in Switzerland. Swiss consumers can collect for the following free items: a plush animal, a pillow plush, a blanket plush, a heat plush and finally a warm cozy blanket for the parents. In the week before Christmas all Coop shoppers receive a nice surprise gift thanking them for shopping at Coop. Coop in Brazil has celebrated its anniversary with a free Disney Plush loyalty promotion featuring a collectible range of 5 plush: Lady, Pua, Dumbo, Simba and Marie, which could be redeemed for free by cardholders. 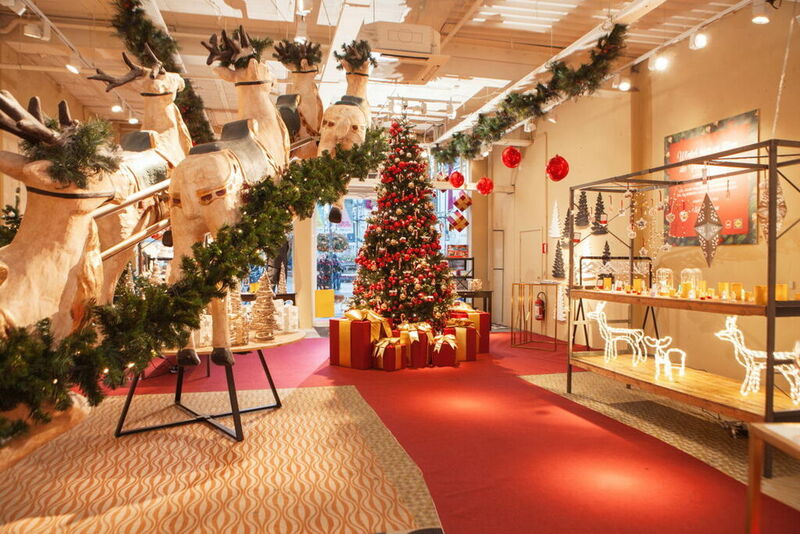 Lidl Belgium has opened a Christmas pop-up store in Antwerp where it sells all leftover stock at low prices. There's a very impressive customer experience, with good service and decoration. Moreover, it also has arestaurant. 100% of revenues go to food banks. In 2018, BrandLoyalty’s StorePal solution, was been successfully used around the world by retailers such as Alfamart, Big-C, IGA, AEON, IGA and Dis-Chem. StorePal helps retailers get control of in-store activation whilst motivating store staff to perform short and easy weekly tasks. What's more, retailers now can also easily verify whether the agreed FMCG/CPG trade promotions are actually present in the stores. The app is designed to be operated by store staff on their own smartphones and needs no technical implementation. Results are shown on a leader board, enabling stores to compete against one another. This in turn motivates staff to use the app and make sure the stores look great. Questions are accompanied by a photo of the situation providing real-time proof of what’s going on in all stores. All data is analysed by state-of-the-art AI and shown in a client dashboard to provide actionable insights for operational managers. WeChat, the multi-purpose app, is taking China by storm. And with built-in mobile payment capabilities, it is radically transforming retail on a scale unlike anything seen in the rest of the world. WeChat is now one of the most visited and used social platforms in the world: 90% of its 1 billion active monthly users visit the app daily, and an estimated 80% use the app’s mobile payment function. But what really makes WeChat unique is that it enables consumers to engage in dozens of activities within the app, means that consumers don’t have to juggle dozens of apps. WeChat puts everything from social media and transportation to retail and banking in one platform, enabling consumers to message friends, play games, book a medical appointment, access bank accounts and make purchases without having to switch apps. The company announced in a blog post that it has opened pop-up retail shops in nine Macy’s department stores across the country. Facebook says the pop-up shops will feature products by “100 of the most-loved small businesses and digital-native brands on Facebook and Instagram”. Facebook is positioning its pop-up shops as the bridge between digital online sales and physical retail sales for small businesses. Facebook’s pop-up stores will remain open until February 2019. Shufersal Ltd., Israel’s largest supermarket chain, is partnering with local start-up Trigo Vision Ltd. to eliminate the need for cashiers in its 272 stores. Trigo’s platform uses a feed from ceiling cameras and AI to create a cashierless supermarket shopping experience and to identify items in a customer’s shopping cart, which are tallied to produce the bill. Trigo says its technology has a 99.5% accuracy rate. Founded in 2016, the start-up offers grocers two models: one replicates the Amazon Go experience, where a customer self-identifies with their smartphone and leaves with the items, and the chain bills their credit card, while the other allows anyone to enter the store, grab their goods and check out at giant screens that have already catalogued the contents of their shopping cart. Want retail news sent to your inbox?